The Seattle Fire Department responded to the fire about 4:15 a.m. and reported it was under control about 45 minutes later. Residents of the home were evacuated. 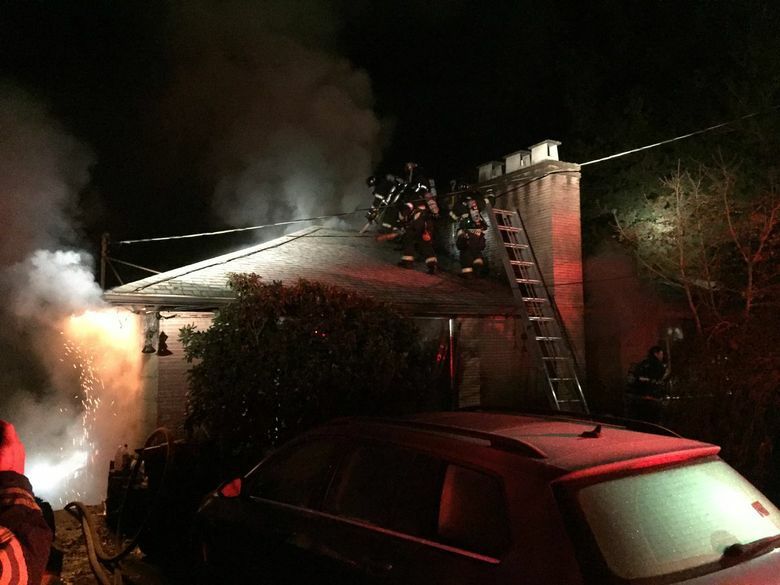 The Seattle Fire Department battled a Wednesday morning blaze in a home basement in Seattle’s Maple Leaf neighborhood. Crews responded to the fire about 4:15 a.m. in the 9200 block of 17th Avenue Northeast and reported it was under control about 45 minutes later. Residents of the home were evacuated, according to the Fire Department. Temperatures dipped below freezing overnight in the Seattle area.